Une radio qui propose le meilleur du RnB, Old school, Hip Hop, New Jack, Slow Jam, Urban, R and B actuels ou anciens. Emission spéciale RnB Slow Jam tous les dimanches à 21h. 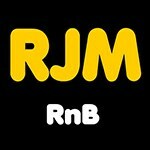 A radio that offers the best of RnB, Old School, Hip Hop, New Jack, Slow Jam, Urban, R and B or former. Special program RnB Slow Jam every Sunday at 21h.